First stop is the frog. I don’t even keep things on my refrigerator so how he even ended up here is beyond me. I would ask Davis but he would inevitably say, “Not me” so I think it’s a waste of time with the inquisition.  I like the frog’s posture. That’s the way I feel sometimes. Hey! Gimme some more ice cream! Let me in! 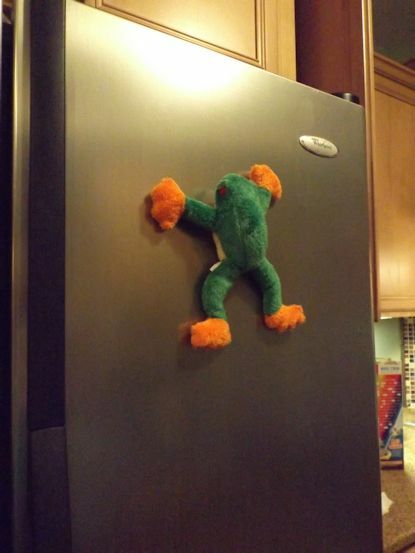 Also in the kitchen high above the door is “Baby!” He/She was placed there by my children with bets to see how long it would take for me to notice. 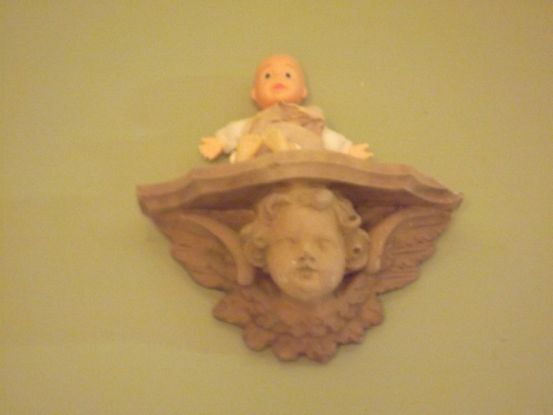 Finally after about a month the kids would moan “Baabbbyyyy” at me until I finally burst out with my typical “Shut your pie hole” and so they broke down and told me to look up on the cherub shelf. There was Baby waiting for my attention. Shows how often I dust up there…never. Baby is still sitting on his/her place on the shelf waiting for you to look up and see him/her. 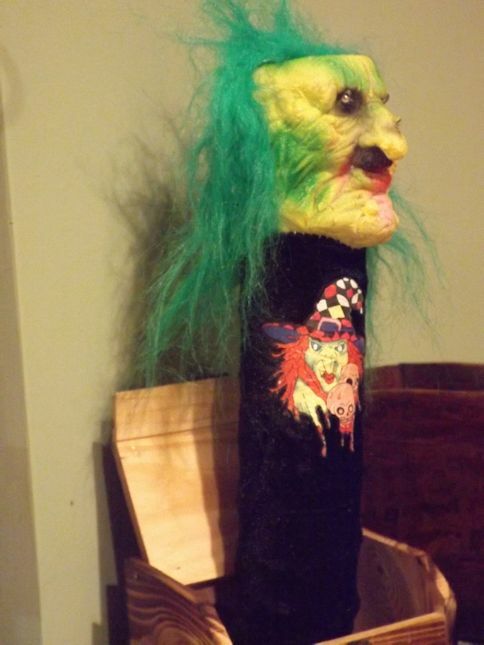 Also in my kitchen is the BabaYaga. Olivia brought her to me from Greece when she was there this spring. I find her quite festive. Head upstairs to my jewelry box for this treasure. They eighties are calling. 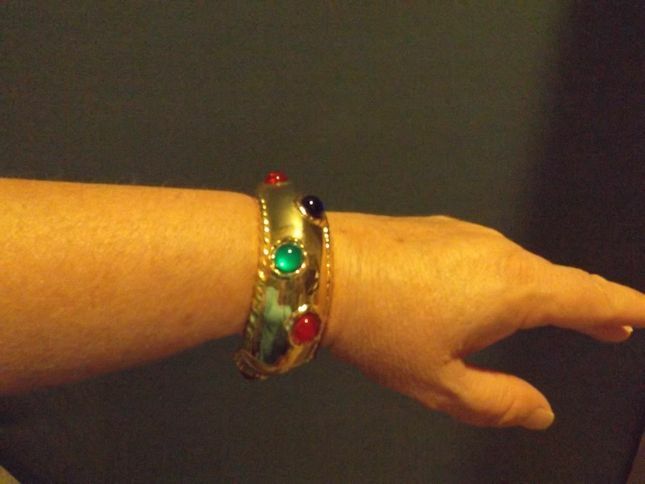 They want their bracelet back. 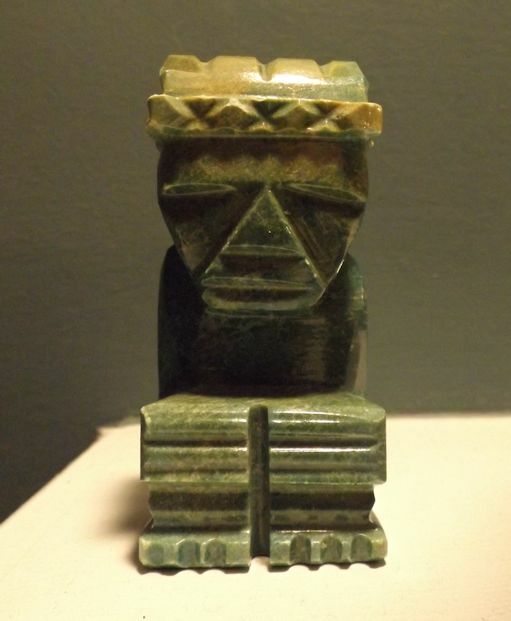 Look to your right and on the mantel is the Aztec god of something. He’s quite stoic. 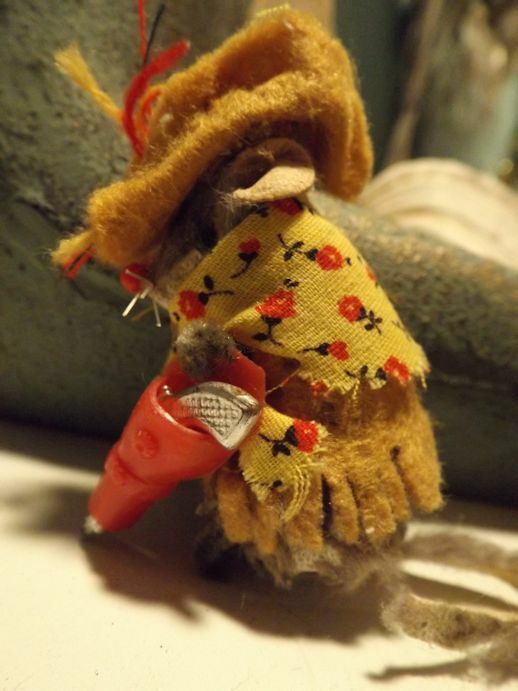 I didn’t have to dig far to find this rootin’ tootin’ mousie gunslinger. She even has a fringed shawl for those windy prairie nights. 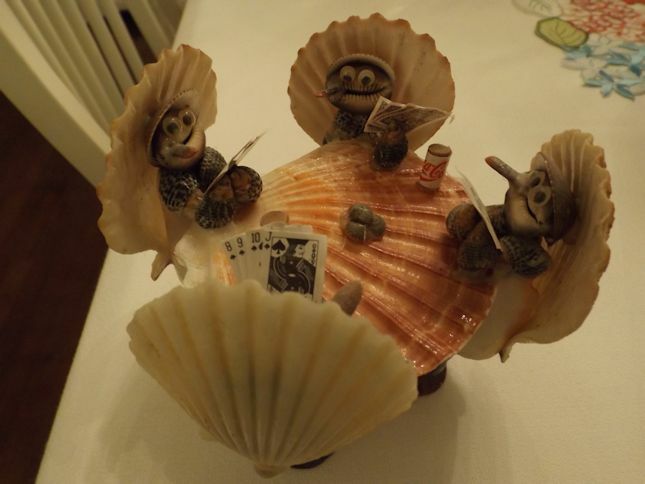 Finally, I end this tour of delights with the ever-popular card-playing shell guys. They were downstairs in the Man Cave or should I say Teen Depository because girls are definitely allowed. I brought them upstairs for their photo shoot. He seems pretty happy about it. I could go on. This was seriously only a five minute tour of the fabulous finds in my abode. Am I the only one who has this assortment of oddities? Possibly, but you know, I wouldn’t part with any of them. Great memories all. I guess I’ll keep searching for that white elephant gift for tomorrow. Something’s bound to turn up! 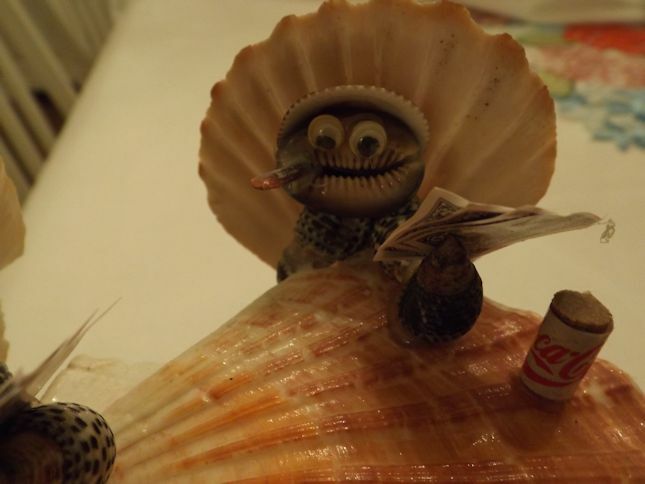 I personally love the sea shell cigar card slinging gang. I think I know a few of those fellas. LOL. They are having a good time!